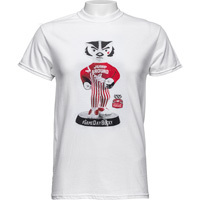 This Bucky statue is ready to Jump Around at Camp Randall with all this gear from The University Book Store! 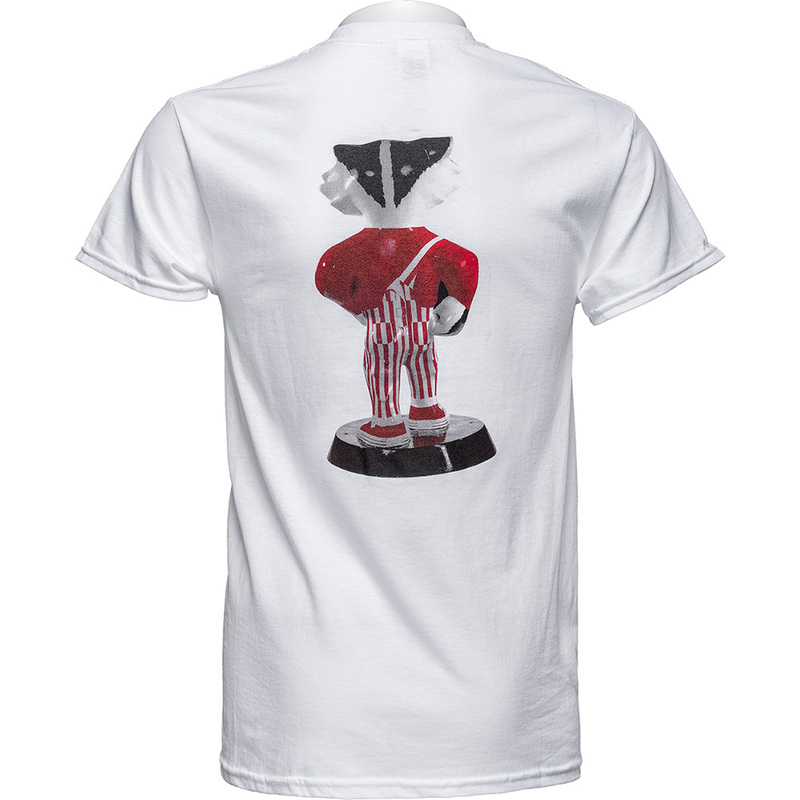 The white tee features the front of the statue on the front of shirt and the back of the statue on the back of the shirt. 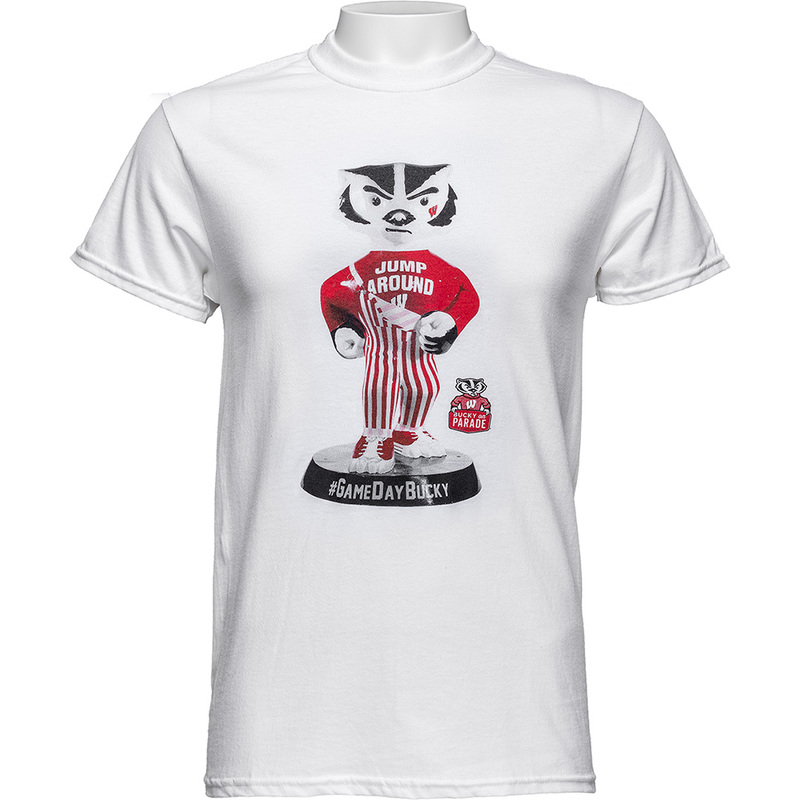 The full color print make for an impressive look.